Welcome to My Little Allotment’s blog. I’m Kirsty, 28, wife, mummy to two daughters, allotment obsessed, seed and plant addict and completely winging my way through this growing your own adventure. I got the keys to my allotment in April 2017 and from the first day on Plot 9A I was hooked .Who knew gardening and growing your own could be so much fun. I was extremely lucky to get the keys to the most beautiful little plot. Plot 9A was well established in places and I was very lucky to get a plot full of goodies. My allotment came with its own shed, a established asparagus patch, rosemary, sage, a small strawberry patch and the most beautiful rhubarb plants I have ever seen. During my first visit I literally had no Idea what I was doing and spent most of the day looking around figuring out what was already on the plot, planning what I wanted to do with my first growing bed and digging up some mighty parsnips! I can honestly say hands down taking on an allotment for me was the best thing I have ever done. It has really helped me improve my mental health and wellbeing even with a few dips in the road. not only am I feeling better I know that I have definitely found my passion in life and love that I can now continue to do that. I felt as though I had a really successful year in 2017, growing beautiful crops and flowers and it completely exceeded my expectations. I hope to take everything I have learnt over into 2018 and make it even better. 2018 is going to be a big year down the plot for me I have lots of ideas and want to make some big changes to my plot. I’m growing a wider range of fruit, vegetables and flowers and hoping I can grow them over the year so I have something to harvest every month. 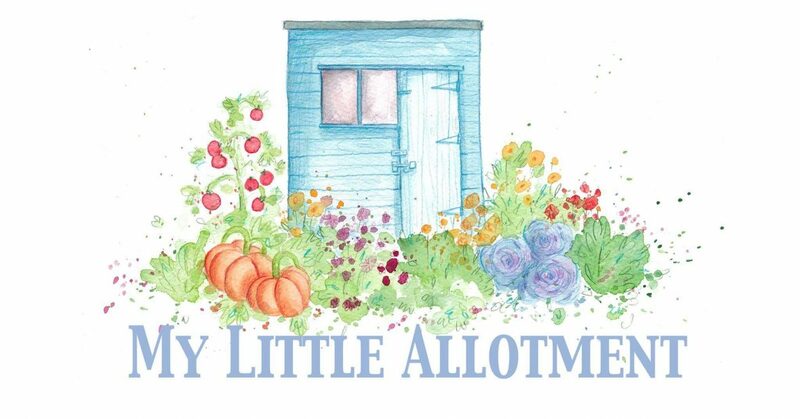 If you would like to follow me on my little allotment adventures please follow my blog page and for daily updates please follow me over on Instagram and twitter. Links to social media pages are on my home page.